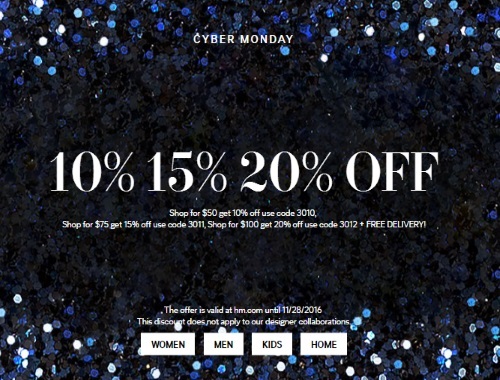 H&M has a Cyber Monday deal today! Save up to 20% off with the promo code below! Offer is valid online only on Monday November 28, 2016. Discount does not apply to designer collaborations. Click here to browse H&M Canada.